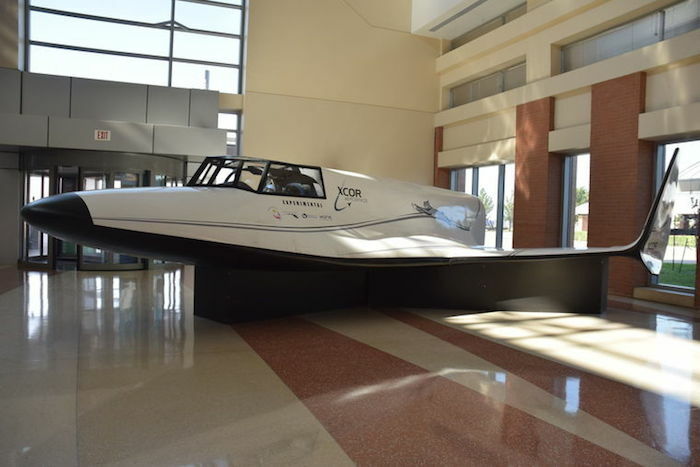 A mock-up of XCOR Aerospace’s Lynx spacecraft built by spacesuit company Orbital Outfitters is on display at Midland International Air & Space Port. Orbital Outfitters CEO Jeff Feige said this morning that the mock-up is the fourth one the company has built. 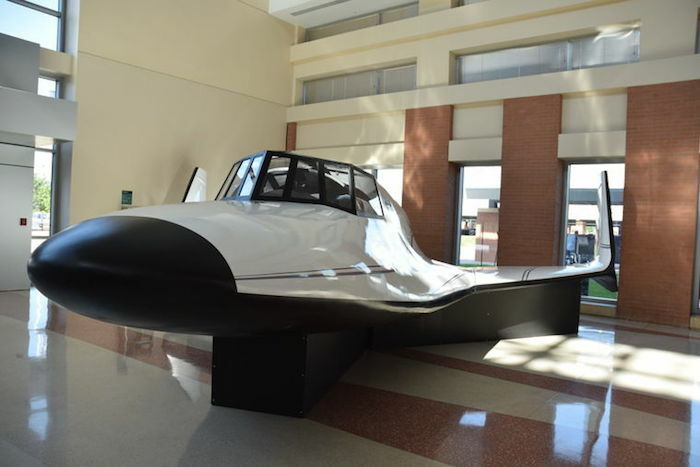 While Orbital Outfitters’ primary focus is building a high-tech pressure chamber across from XCOR’s hangar, the company’s secondary business is the fabrication of such mock-ups, according to Feige. 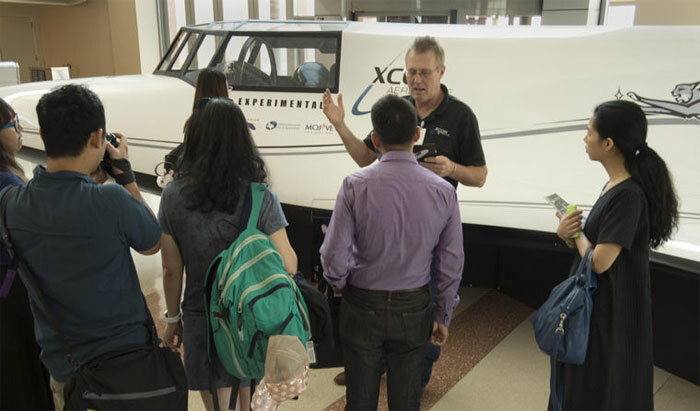 XCOR director of media and public relations Brian Campen said that the XCOR hangar is to be completed within the next two two months. At least 10 employees already have moved to Midland and many are buying homes in the area, he said this morning. Feige said Orbital Outfitter’s building is expected to be completed by the end of 2015, or early 2016. He told the Reporter-Telegram that components for the pressure chamber will start arriving in the next few weeks. 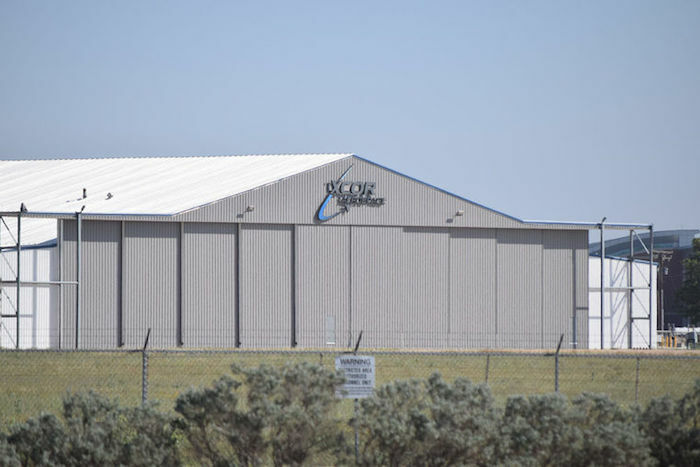 May 12th, 2015, Mojave CA - XCOR Aerospace® today announced its selection of Matrix Composites, Inc. of Rockledge, Florida as the manufacturer and supplier of the XCOR® Lynx® Mark I spacecraft composite chine panels. Safety components will be tested in Mojave to ensure that the Lynx will be able to brake upon landing. Peck talked about the company’s emphasis on safety. “We’re very safety conscious. (CEO) Jeff Greason … his whole deal is when it flies is when it’s ready is when it’s safe,” Peck said. The private space industry has faced numerous setbacks recently. Space company SpaceX, led by multi-billionaire Elon Musk, has had three launches in a row fail. The latest, a resupply mission to the International Space Station orbiting around the Earth, SpaceX’s Falcon 9 rocket disintegrated just over two minutes into the flight. At the end of October a Virgin Galactic vehicle, the VSS Enterprise, was lost after it broke apart on a test flight. The co-pilot was killed, and the pilot was injured but survived. The accident was deemed to be a result of human error. Peck said that such incidents are not good for the private space industry, which is still working to gain its footing. Despite the competition in the industry, Peck says that the comradery is felt across the board no matter what company you work for. As the Lynx 1 approaches completion, the team is already starting to work on components for the Lynx 2, according to Peck. 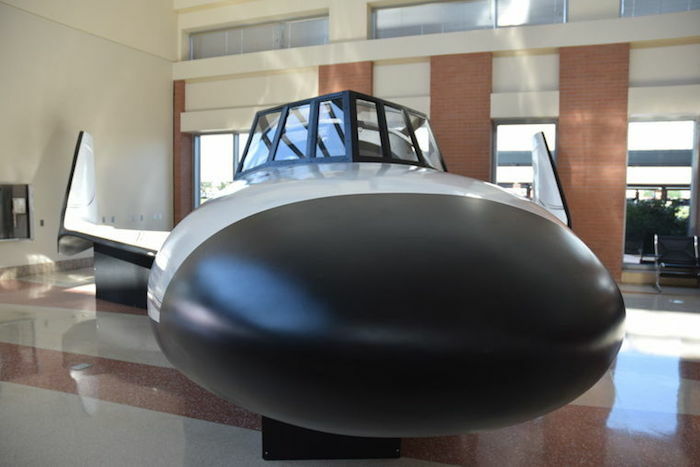 Peck described the Lynx 1 as a testing vehicle, while the Lynx 2 will be the vehicle that first transports paying customers into suborbital space. The Lynx 3 will be similar to the 2 except that it will have a dorsal pod to carry experiments and microsatellites. 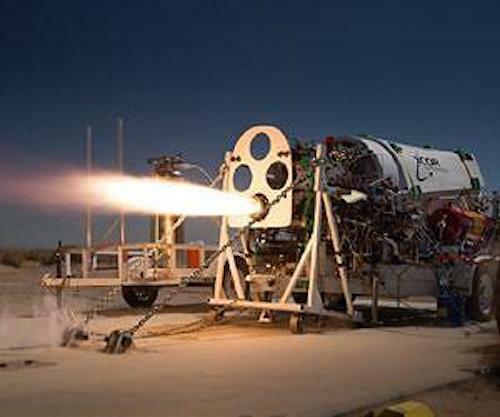 XCOR Director of Engineering and acting CTO Michael Valant announced that his team has reached an important milestone in the development of the reusable 5K18 Lynx main propulsion rocket engine. His engineers were able to 'close the loop' of the thermodynamic system under test conditions, a key technology for the Lynx sub-orbital vehicle. his propulsion system is an essential part of the Lynx "instant reusability" because it allows the vehicle to be flown multiple times per day without costly servicing of components. 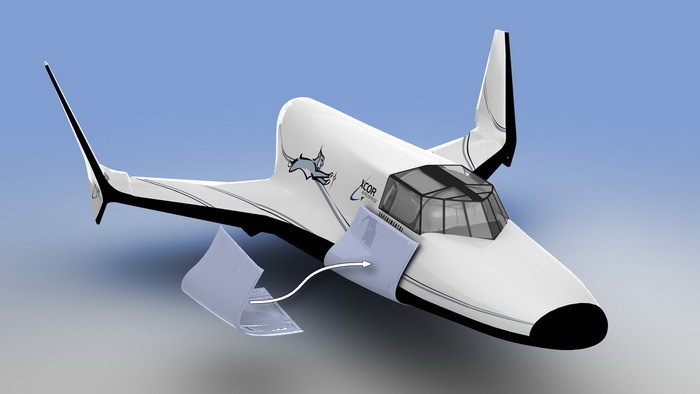 In addition, XCOR engine technology could be used to benefit other rocket-propelled vehicles in the same way. Valant: "There's still some work to do to improve the cycle efficiency before this engine, that in its basic 'open cycle' form has already had hundreds of successful test firings, is ready for flight, but this is a massive step forward for us in the development of this truly groundbreaking technology. "I'm genuinely proud of my teams for working so painstakingly to reach this goal."